This table consists of a solid oak top with superb original patina with original pine lined drawer with brass knob handle, such drawers often having been replaced. The table is supported by turned gun barrel legs and gates with oak stretchers and terminating with turned feet. 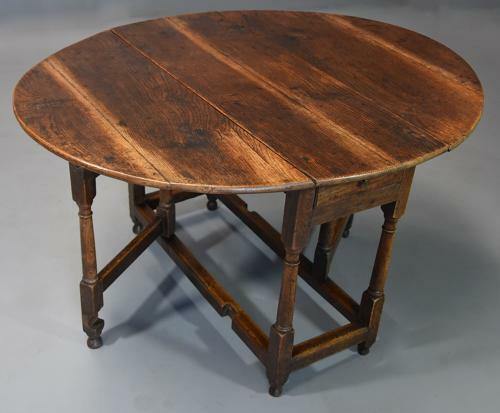 This table is in excellent original condition for age, is of stable construction and can go straight into a home - this table will comfortably seat four and possibly up to six.